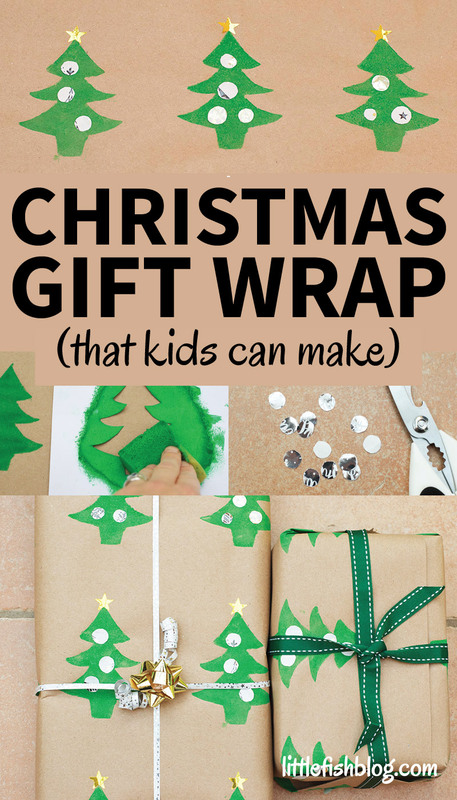 Today I’m showing you how to make really simple homemade Christmas gift wrap, that kids can make – as well as grown up kids of course! 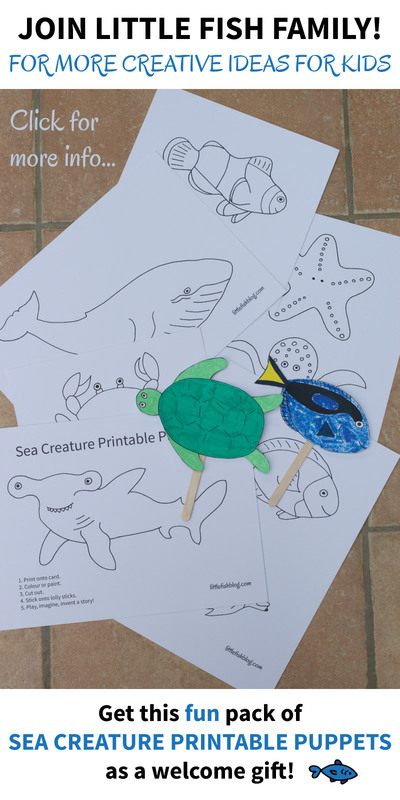 This is a really easy DIY that even very young kids will enjoy making. 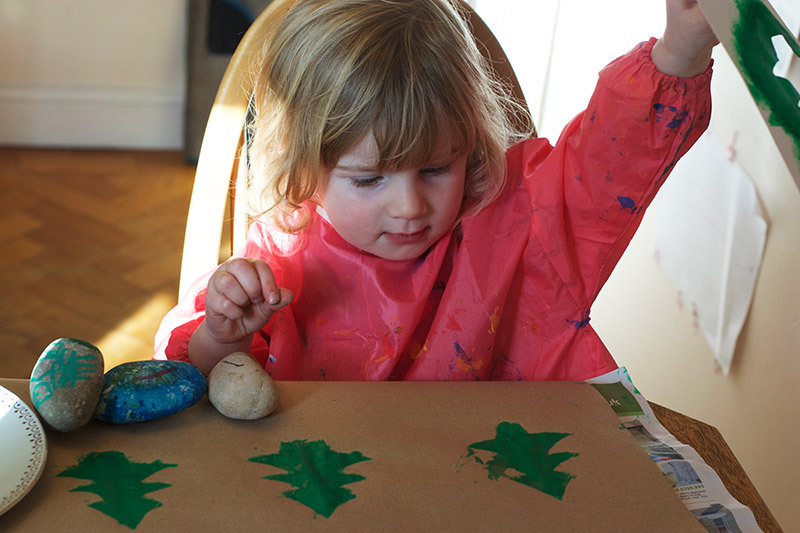 It can also occupy and mesmerise little ones for a good while too – as they stick sparkly shapes and stickers onto the gift wrap. 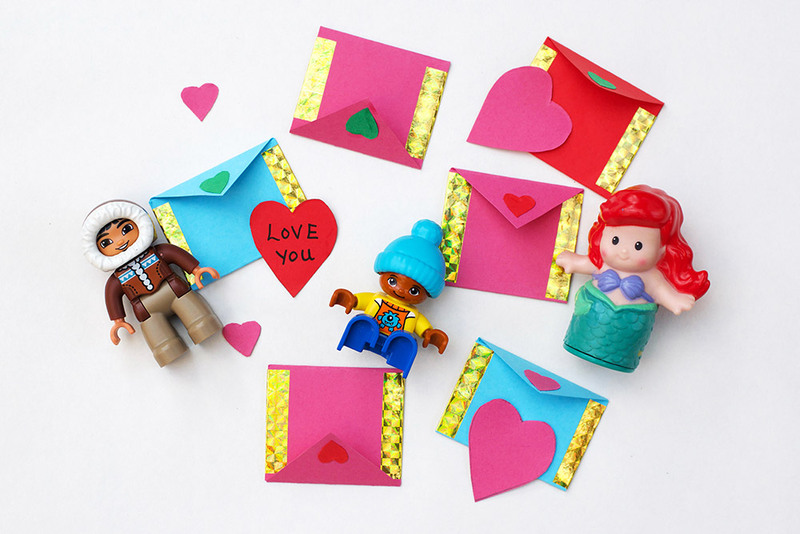 I love crafts that have a purpose, they just feel even more meaningful. 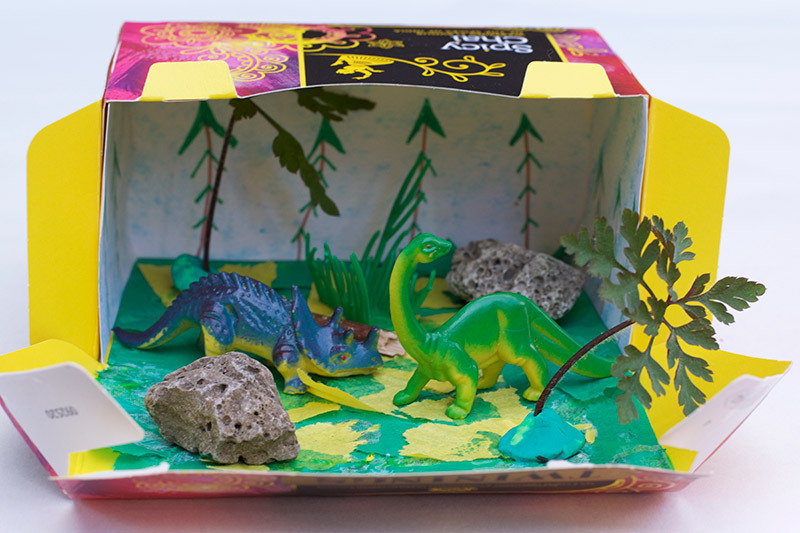 When I was a child, my favourite after school club was ‘Present Making Club’! 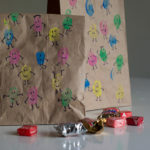 This gift wrap would look lovely wrapped around gifts your children would like to give. 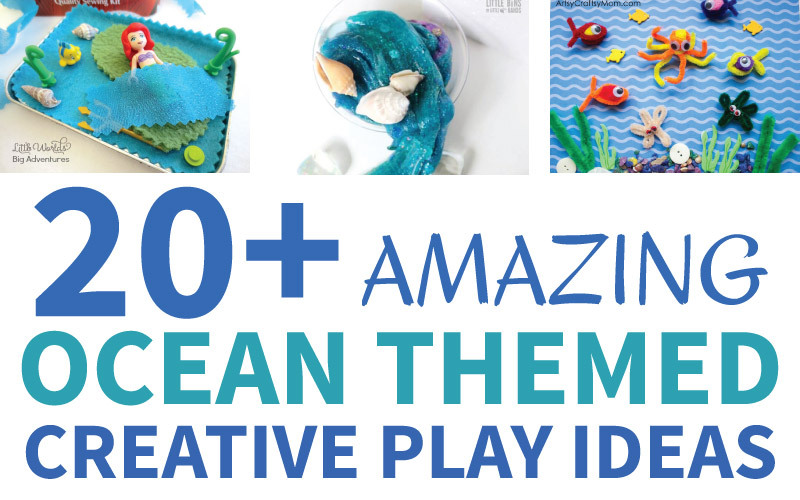 I’m a big fan of crafts you can easily make with things you already likely have at home, so hopefully you’ll have most of the materials already. 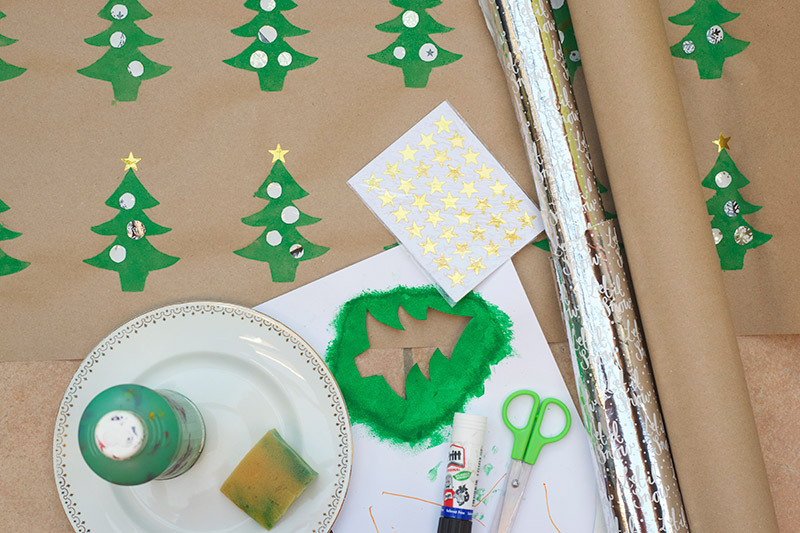 This gift wrap encourages recycling materials too – with recycled brown paper for the paper and cut up bits of old wrapping paper to decorate. It’s worth buying a big roll of brown parcel paper, if you don’t already have any, as it comes in handy for so many projects. 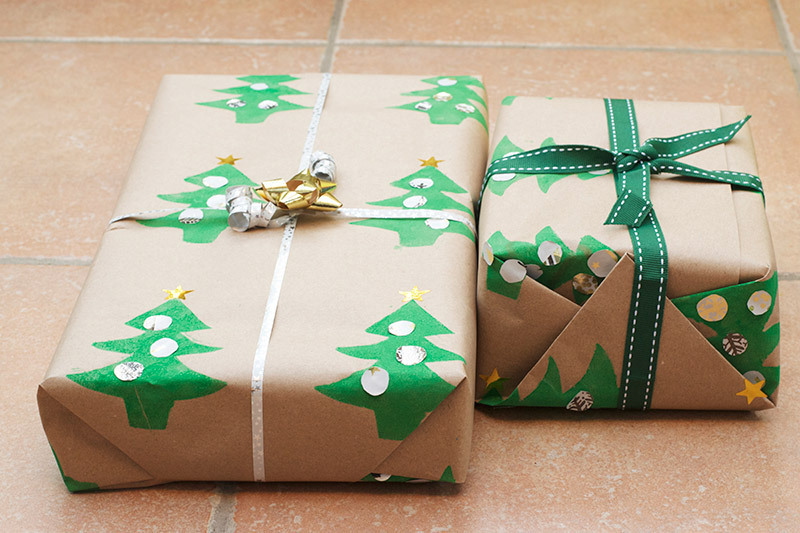 If you’re like me you’ll have a whole box of old wrapping paper – used pieces, or left over bits on a roll. 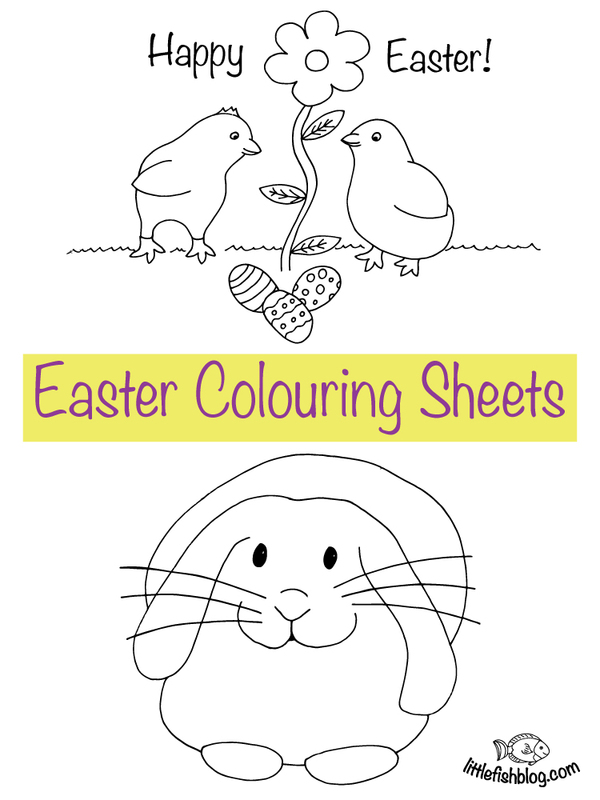 If not, you can use any kind of shiny, coloured or patterned paper. 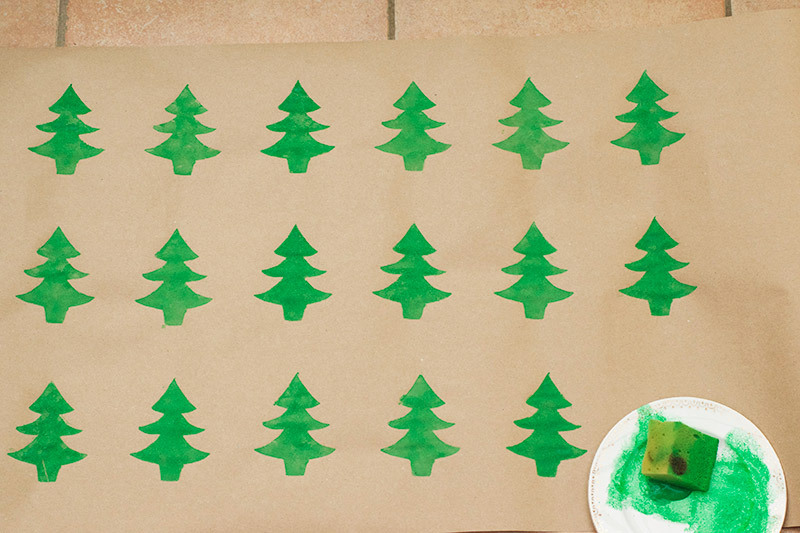 I used sticky gold stars on the trees, to make the activity a little easier for my 2 year old. But you could make your own stars if you prefer, or draw them on in gold pen. I used basic water based paint. I know it will wash out of my daughter’s clothes and we have plenty of it – as I’m sure you do. 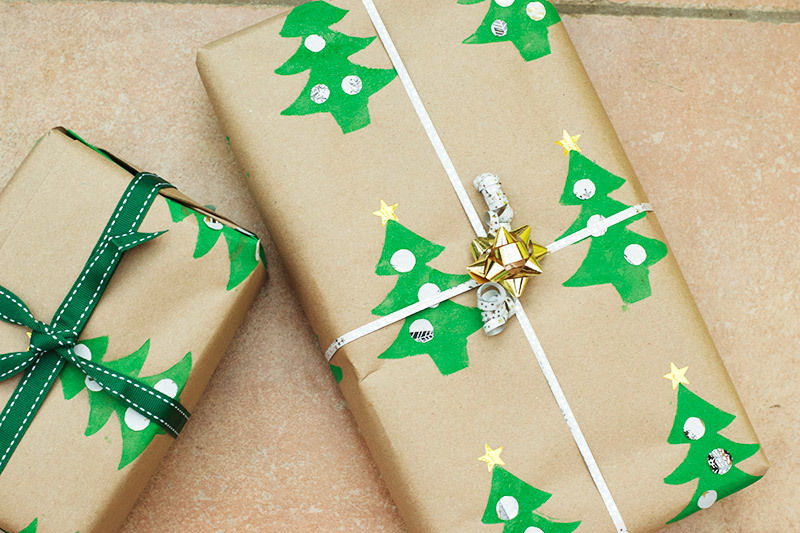 For a more ‘professional’ looking wrapping paper, many crafters would recommend acrylic paint – as it prints a little more neatly and the paper is ‘flatter’ when you wrap the gifts. If you have some you can try this instead if you like. But honestly, for our purposes, the water based paint worked great. 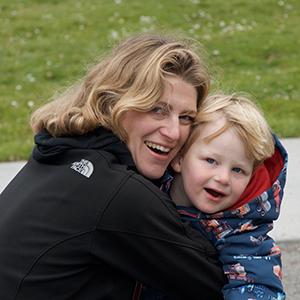 I didn’t have to worry about my 2 year old slapping it around (!) and I think the finished paper looks great! It also folded just fine when I wrapped our gifts with it. I’ll leave that choice to you. If you use acrylic remember to cover clothes and surfaces well as it doesn’t wash off so easily. 1. 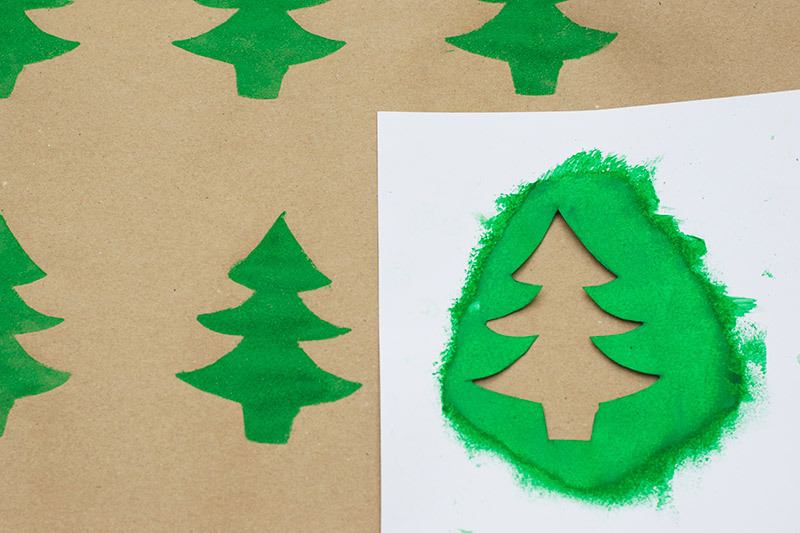 Draw a Christmas tree onto a sheet of card, or plastic. Cut out to make your template. 2. 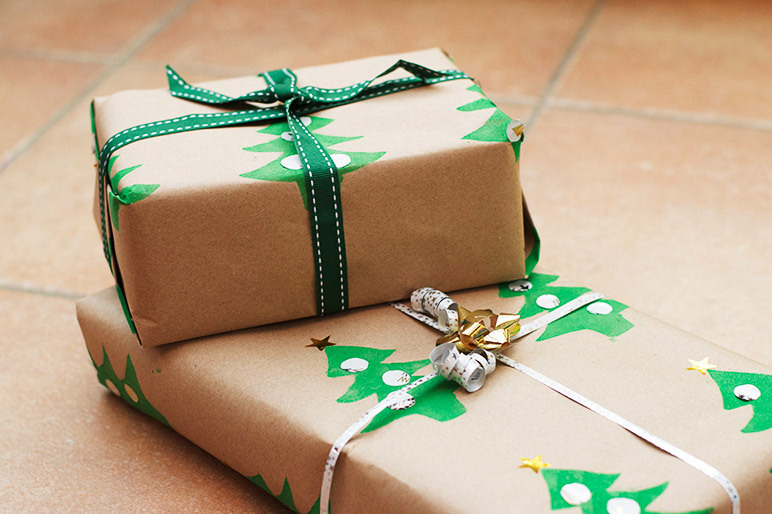 Cut off a large piece of brown paper – it needs to be big enough to wrap your gift. 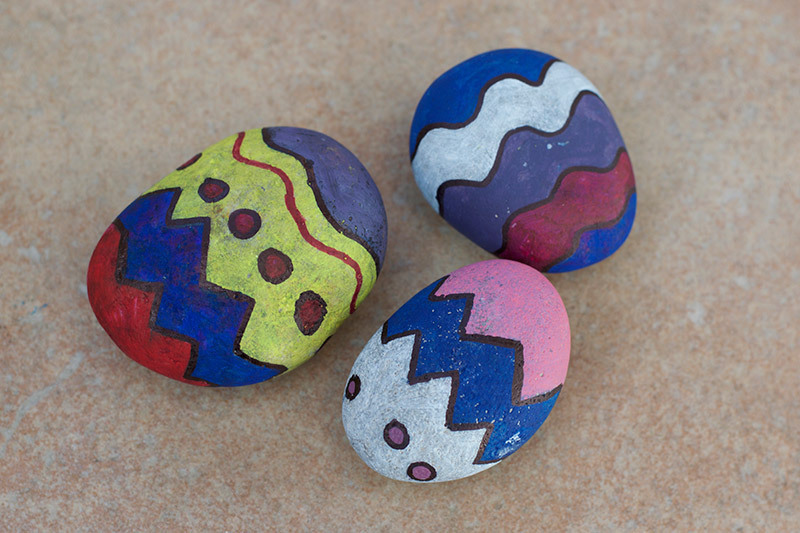 Weigh down with stones, or something similar to secure. 3. Place the template over the paper. Hold carefully, or secure with more stones. 4. Sponge green paint over the template. Carefully remove the template. 5. 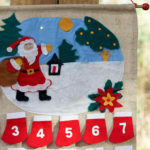 Repeat to create a repeating pattern of Christmas trees. Allow to dry. 6. 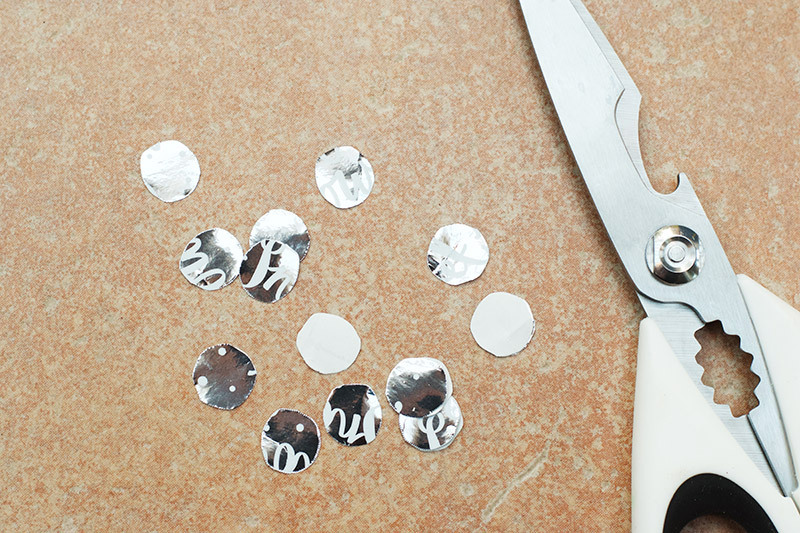 Cut out small circles, shapes or stars from the left over gift wrap, or shiny paper. 7. 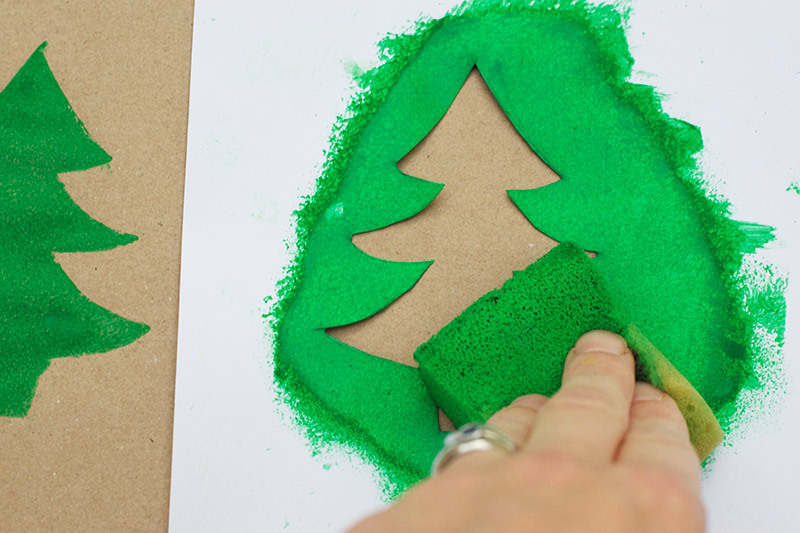 Use the glue stick to ‘decorate’ the Christmas trees. 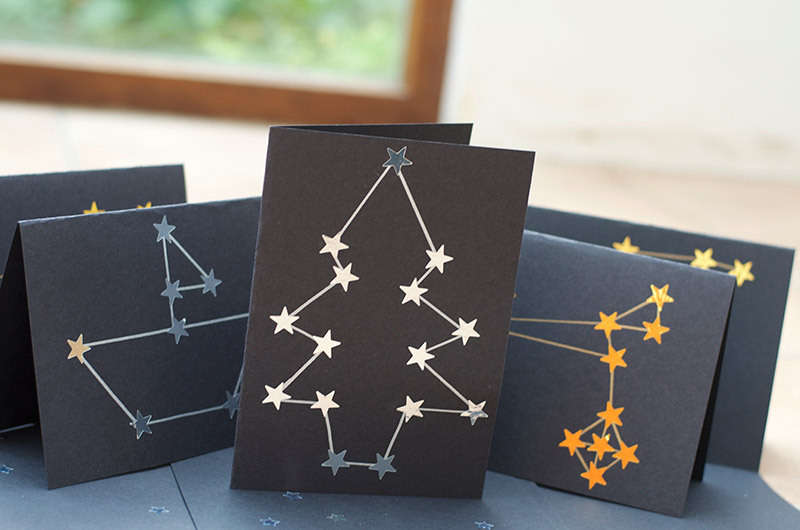 Add stars with sticky stars, shiny paper, or draw with gold pen. Allow to dry. 8. Carefully wrap your gifts! 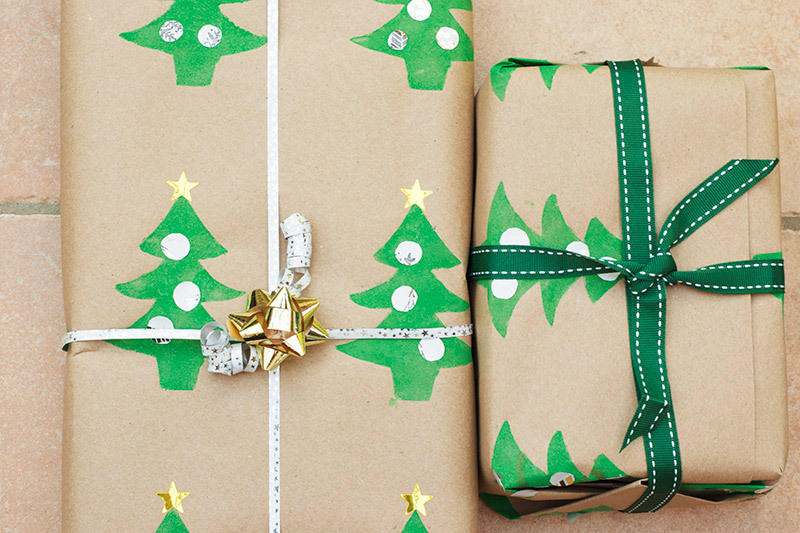 This gift wrap looks gorgeous when it’s all wrapped around your gifts. 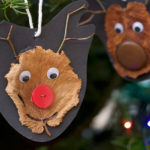 I love the green trees on the brown paper background and the decorations look all sparkly and magical! 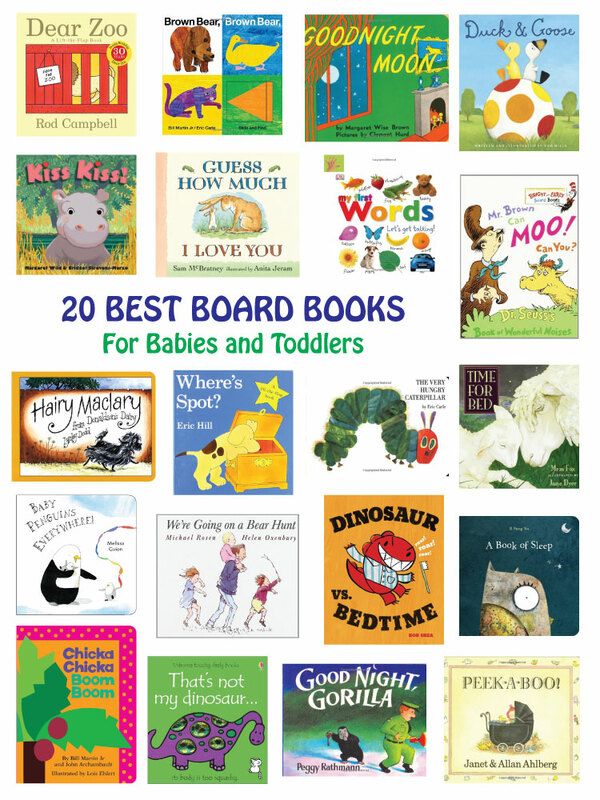 This will give that personal touch to gifts your child would like to give – perhaps to their teacher or grandparent. 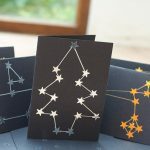 If you like this craft idea you might like to make some Constellation Cards to give alongside your gifts! 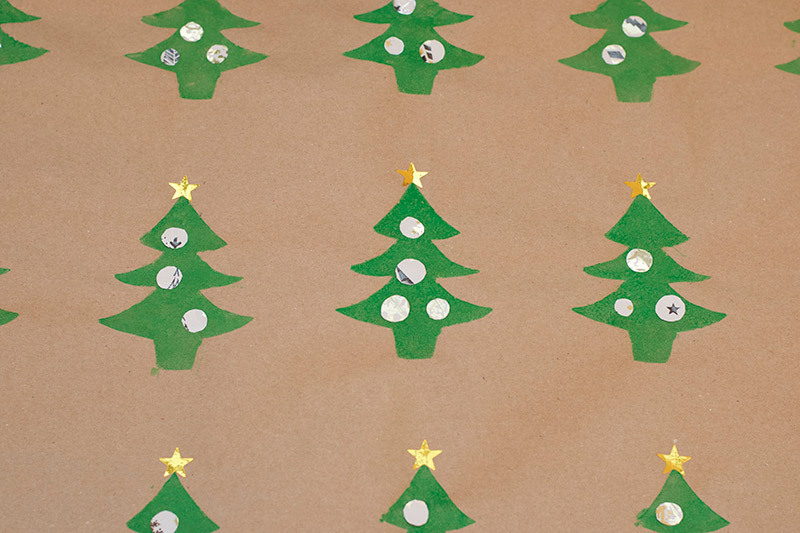 Pin this Homemade Christmas Gift Wrap!